Romantic suspense is by far my favourite genre. Apart from legends like Nora Roberts, finding good romantic suspense can be tricky. Good indie romantic suspense? Tough. Blending the romantic, which is tied strongly to solid character development, with the fast-moving, plot driven suspense aspects is no easy feat, I’ll admit. 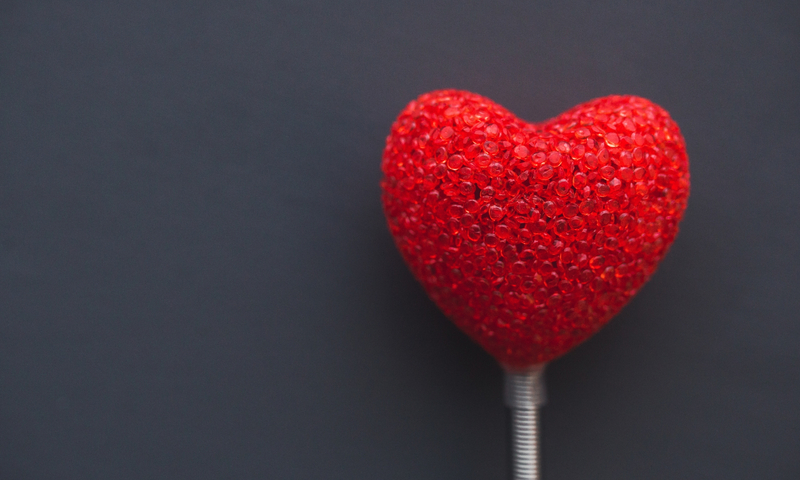 In the indie world, this can often translate to clunky, awkward prose as writers try to navigate the romantic scenes to the other extreme – predictable and even annoying storylines that are supposed to keep us in suspense…but don’t. Sensing any frustration? Just a bit. Shane MacKinnon lives a quiet life in New Mexico, making a modest living out of her artwork and enjoying the peace and serenity of a secluded home with her menagerie of animals. That is until Matt moves in down the hill and starts building his house. His mere presence is a source of annoyance to Shane. This peaks Matt’s curiosity. Not that he’s an annoying guy. Actually he’s a rather nice, good-looking guy who is seeking some peace and serenity of his own. He’s recently divorced and a partner in an LA architecture firm and he’s keen to move on from the past. He’s not so perturbed by Shane’s prickliness and his easy-going responses to her avoidance strategies actually endear him to us. Eventually, this endears him to Shane too and she starts to let him in. It opens up feelings and emotions that are both new and challenging for her and Matt starts to realise he’s in deep and would do anything for this intriguing woman with the haunted look in her eyes. Shane begins to trust Matt and reveals what he suspects – her true identity is that of wealthy and privileged Shannon Malone, from Manhattan. She’s determined to forget her traumatic childhood and the scandal that plagued her family and kept her in the limelight. With the monster who tormented her childhood long dead, she’s been keeping a low profile, but now a menacing whisper on the end of the phone threatens to shatter her new life. Someone thinks she has the missing millions for a failed investment scam and they’re out to get her. Shane thought the nightmare of her childhood was over. It isn’t. And it’s not just about the money, it’s about finishing a sadistic game driven by lust, power and revenge. On all levels, Shattered Blue delivers. The romance is well written and it works because the characters are likeable, relatable and we grow to care for them. The only surprise was how quickly that romance occurred – the falling in love happened very early on. It may just be that I’m not a love at first sight kind of woman, but if you give the romance a chance and keep reading, the relationship between Shane and Matt deepens and grows with genuine believability. His caring nature helps counter some of the trauma Shane endured as a child and it’s refreshing to read a layered relationship that is hot yet based on something more, when you take a breathe from the steam. However, it’s the balance of suspense that suggests Starwood’s first attempt at romantic suspense should not be her last. The protagonist is truly eerie, deranged and above all believable. It’s not easy subject matter Starwood has chosen to start with – without giving too much away, childhood abuse is a tough subject – but she does it sensitively and with enough skill to have us fearing for Shane and recoiling from the protagonist. There’s a couple of well played twists to ward off any predictability and while I can say the ending wasn’t entirely a surprise, it was an enjoyable ride. This is a solid, polished, well written début. I’ll be keeping an eye out for more from this author. Shane MacKinnon used to be somebody else. Hounded by scandal and haunted by a shameful secret, wealthy, privileged Shannon Malone fled Manhattan and took on a new identity. Five years later, she’s finally met a man who loves her in spite of her troubled past. He’s leading her into a world of sensual pleasure she never imagined. Now a menacing whisper on the phone threatens to shatter her new life. Someone thinks she has the missing millions from a massive investment scam. Someone who also has a far more sinister reason to come after her. Shane thought the monster who tormented her childhood was dead. She was wrong. And now that he’s found her again, he’ll stop at nothing to finish his sadistic game. What an excellent title for a book. It really grabs you. Sounds like a first-rate read, I’ll look out for it. Cheers and thanks. Rob. What a wonderful surprise to find the link to this excellent review of my debut novel “Shattered Blue” in my Google Alerts this morning! Thank you so much, Belinda! I’ll be quoting from this for sure. You’re welcome, Jane! Shattered Blue was a strong début and an enjoyable read. Keep me posted on any upcoming works. All the best. I’m working on the first draft of a series of romantic thrillers based in the Florida Keys. I’ll let you know when it’s ready for prime time! Thanks again, and all the best to you, too. 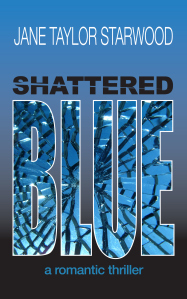 Pingback: Another Great Review for “Shattered Blue” | Romancing the Thriller!